Today is the last day to subscribe to Paper Pumpkin to get the April kit. It features Stampin' Up! 's patent-pending Distinktive stamps! 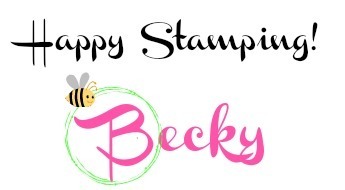 These stamps are available only from Stampin' Up! and are made using a patent-pending process. 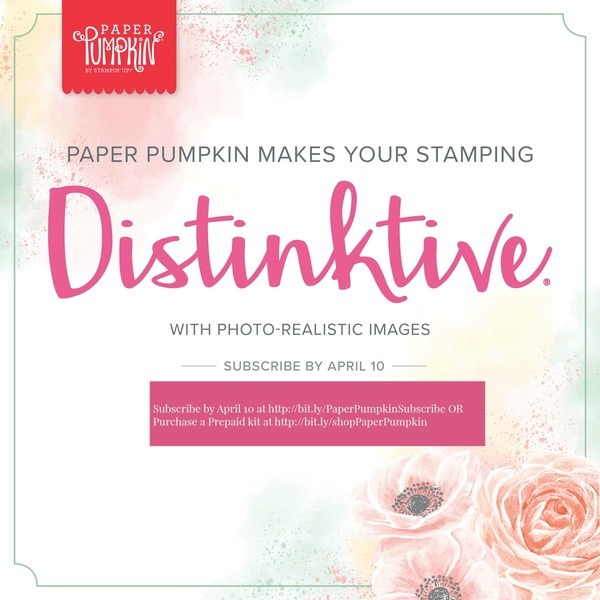 Distinktive stamps are available in red rubber and photopolymer; Paper Pumpkin's April kit includes photopolymer stamps. Shop Distinktive stamps in the online store by searching "Distinktive" or look for the Distinktive icon in Stampin' Up! catalogs. A Paper Pumpkin kit is a great way to try out these new stamps to see if they are something you will like. For ~$20 you'll receive a set of exclusive stamps, cardstock, diecuts, embellishments--all you need to complete the kit! This kit makes 9 cards (3 different designs) and includes an adorable gift box. Coordinating colors are Basic Black, Calypso Coral, Flirty Flamingo, Gray Granite, Mint Macaron and So Saffron. Want to purchase just the one kit to try it out? You can purchase one in the online store (but be aware you'll pay shipping on the kit--if you subscribe shipping is included). When you purchase kits, Stampin' Up! will send you an activation code. You will need to put in that code at the Paper Pumpkin website prior to 11:50 pm MT on April 10 to ensure you get the April kit. Distinktive stamps create some gorgeous images. If your ink pad is very juicy, you might want to stamp off first or push some of that ink to the side. Experiment some before you make your final project!